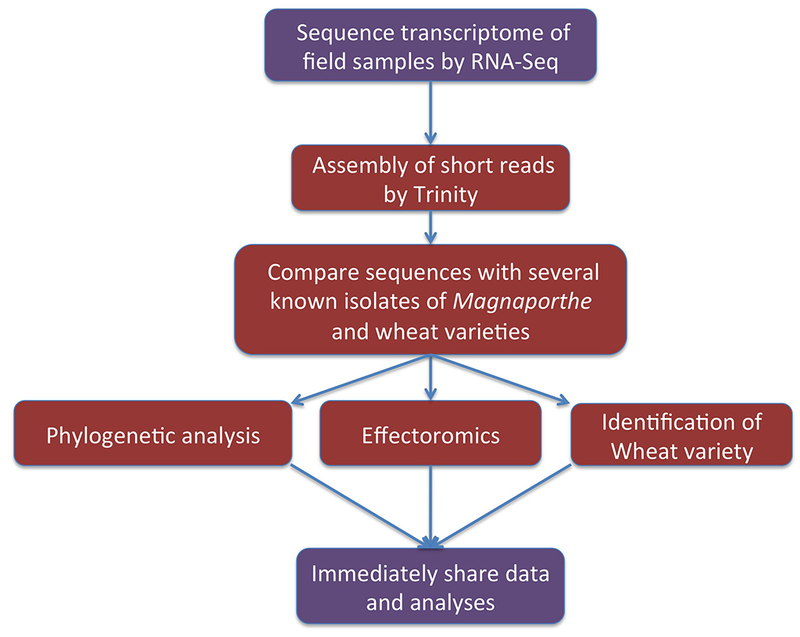 Field Pathogenomics (metatranscriptomics) of rice blast. Long-read genome sequencing of a selection of blast fungal isolates from around the world. We are making all sequence data we have generated on rice blast accessible without any restrictions as they become available from the sequencing machines. Thus, we are turning to the combined knowledge of the global scientific community to address this emerging threat to Asian agriculture. We hope that those who will analyze the data will make their contributions available either on this site or elsewhere. We encourage any person/organization that may want to share their sequence data or analyses to contact us or to post their analyses.